In the attic of an ancestral home, a devil worshipping sadist, Jezebeth Blandy, at war with God, unwittingly discovers a nineteenth century diary that details the summoning of a demon. Jezebeth succeeds in breaking a satanic code inside her hell room which creates for her two realities. Lenora Blandy, a devout catholic, endlessly tortured at the hands of Jezebeth, has come to the end of her rope. Nowhere to run, nor hide. She’s forced to confront her demons. 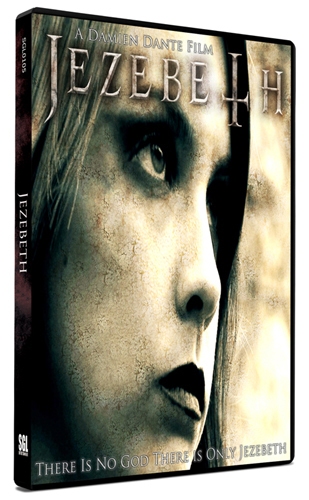 Jezebeth is more than a horror film, it is a musical experience unlike any movie ever made. A cult horror film loaded with visuals and sound that can be enjoyed over and over again. There is no God, There is only Jezebeth.